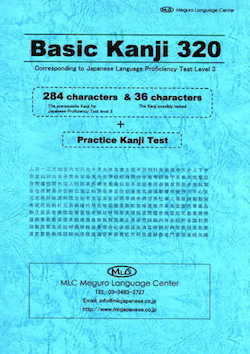 We are offering free lessons to master "Basic Kanji 120". 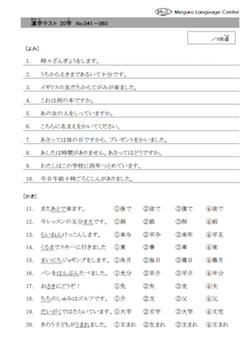 120 Kanji characters and about 250 words. Simply, just choose the course of your preference and enter your email address. 2. You will receive an e-mail where you can download learning material. Please print out the materials. 3. Memorize 10 kanji characters until the next e-mail comes. Please write and memorize. 4. 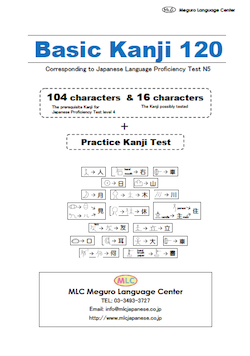 You will receive a kanji test for the 10 kanji characters and answers. Another 10 characters will be sent by next e-mail. Do the test and check the answers by yourself. 5. 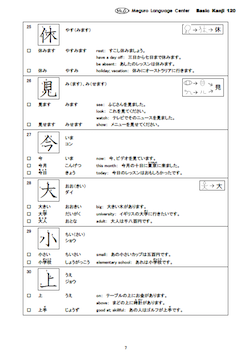 Learn the next new 10 kanji characters until you receive the next e-mail.